Do You Really Need A Camera Drone Gimbal? You have landed on Nechstar´s guide to the best drone gimbals of 2019, where we believe 3DR Solo is the best 3-axis gimbal you can buy for your drone. 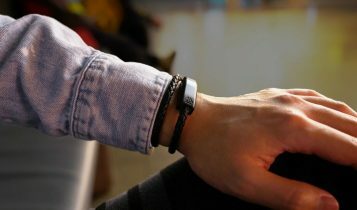 It gives you rock-solid photography working with an extremely stable camera. Yes, it is a little pricey, but being a one-time investment, it is a rather useful purchase. There’s no question, drones are a phenomenon. You can see them everywhere now, and they are available in any size, shape or configuration you want. 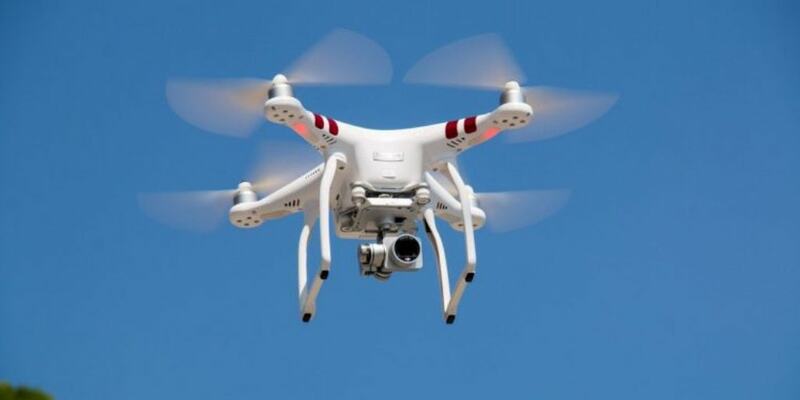 Drones literally become your eyes in the sky. You can view the world around you in a whole new perspective, and thanks to cameras attached to them, you can record what you see as well. Drone and video camera is an awesome combination. Unfortunately, as every filmmaker knows, capture shaky-free footage only with the camera is a difficult task. And aerial videos – that´s another level. Capturing high-quality aerial videos and photos is not possible without a good gimbal attached to the drone. A magic device that makes your average footage look beautiful. 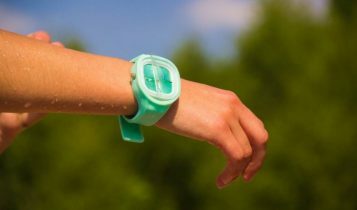 It´s very light, fits standard sized board 30mm x 30mm cameras and cost under $20. That´s why Pan Tilt is on our list. A great accessory for drone racing. Just pan your camera with 2 axis tilt and fly. Pan Tilt is specially designed for FPV (first person view) setups. The major disadvantage of this servo gimbal is its fragility. But for the price, you can easily replace it after an awful landing. The Walkera G-2D Brushless Gimbal is a 2 axis gimbal with an attractive design. 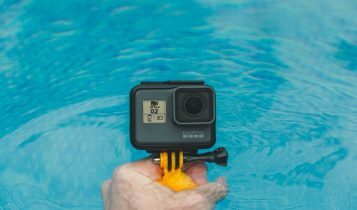 Developed especially to support the GoPro series (Hero 3 and Hero 4) on your drone but it also works for iLook, iLook+ and Sony cameras. This drone gimbal performs great on all DJI drones and due to its weight, you can enjoy longer fly time and still capture stable, shake-free videos. Unfortunately, setting up the Walkera G-2D gimbal is not an easy task, and the plastic construction is also something you should keep in the mind. It can break during crashes. 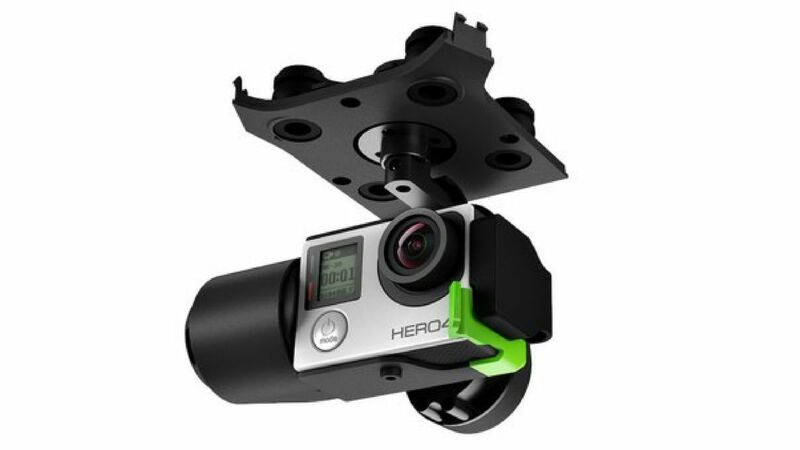 If you want to play with gimbals on a light quadrocopter, this is a great cheap choice. To get the best motionless images regardless of conditions your drone is flying in, you should use camera stabilizer with brushless motors. Why not try Tarot T-2D GoPro gimbal. It works fine out of the box, no needed extra settings, and thanks to Tarot brand, you can easily find spare parts for it. 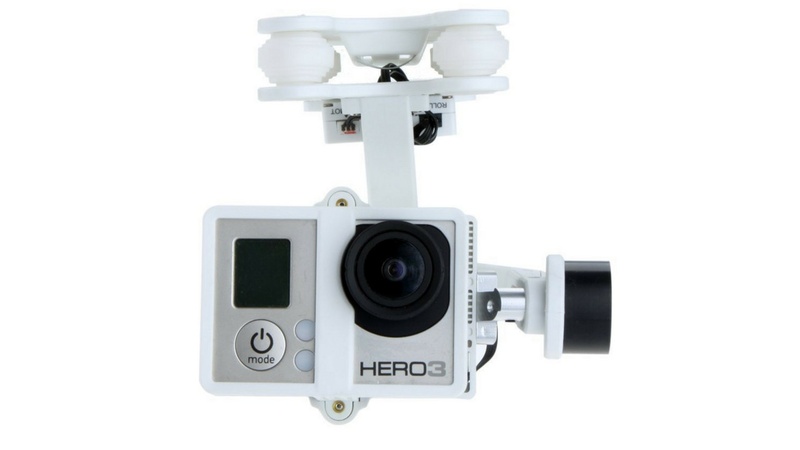 It features a mounting plate designed for the GoPro Hero 3 cameras, so even in high-speed flight, you can still control and stabilize the action camera precisely. You had already bought an expensive drone and don´t want to spend another $200 for a gimbal. GoolRC 2D could be one you are looking for. Inexpensive, 2 axis GoPro drone gimbal with brushless motor direct drive, CNC aluminum alloy structure and anti-vibration rubber balls. GoolRC 2D is compatible with GoPro series 3,4 and designed for DJI Phantom drones. What´s more, it works great. 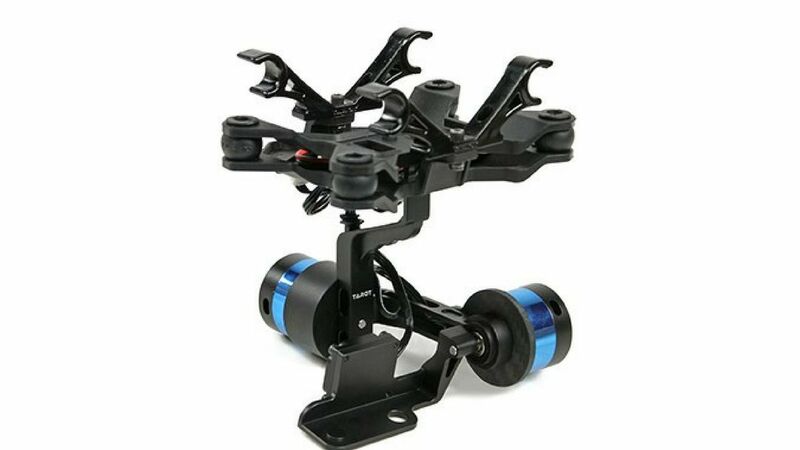 For the money, (you save hundreds of dollar using this compared to other gimbals), it will dramatically stabilize your video footage and improve overall video quality. If you are planning on capturing videos or photos with your Solo drone, you have to get the gimbal. NO, it is a must-have. The shots are so stable and smooth. It doesn´t matter, if you are a pro or beginner, this is a drone stabilizer you would find great. With so many awesome features, it is an expensive unit but absolutely worth the investment. As the name suggests, the gimbal works best with the 3DR Solo drone, but it can also be mounted on other drones as well. 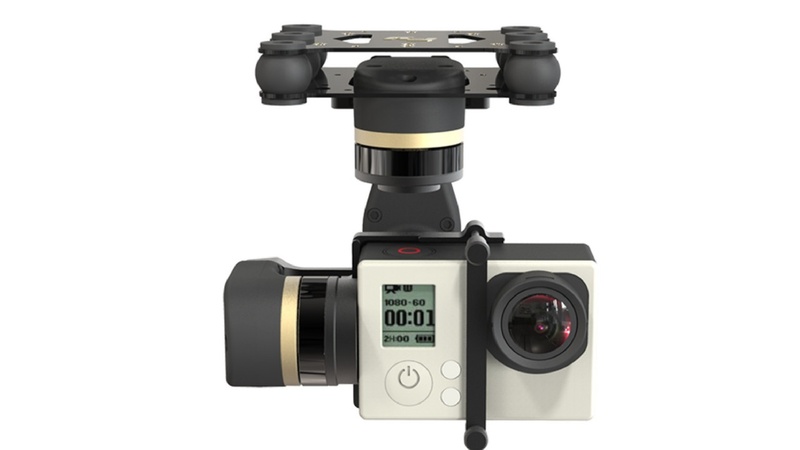 But we repeat it again, if you are filming with the 3DR Solo, this gimbal is an essential element, not optional. Feiyu technology is a well-known brand that is focusing on video stabilization technology for many years and their Mini 3D gimbal is an excellent proof of quality work. It is completely made of metal, has 6 anti-vibration rubber bolt and 3 dimension adjustment and brushless motors. All this gets you better stabilization and helps you bring your videos to the next level. 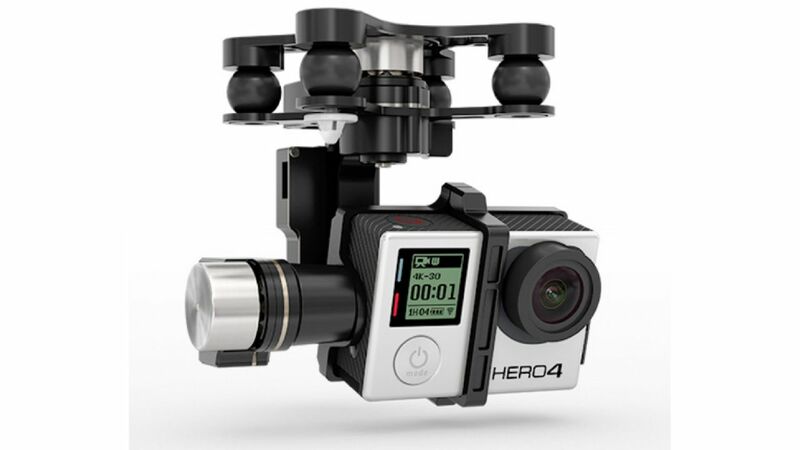 Feiyu Mini 3D is a gimbal that works best with GoPro 3+ and GoPro 4 and fits perfect for DJI Phantom 2. DJI Zenmuse is one of the easiest gimbals you can hook up to your GoPro camera and drone. It should be ready to work about 20 mins after taking the unit out of the box. Sounds good? Let´s continue. This official DJI gimbal takes all of the shakes and sudden lean angles off your videos and provides overall good stabilization for the footage. It is compatible with Phantom 2 and will also work with other flight controllers with purchase of a separate GCU. Simply put, DJI Zenmuse gimbal is a great device if you are planning to make a professional camera work. 2 AXIS GIMBAL – Drones are typically available in 2-axis or 3-axis brushless gimbals and the type of gimbal you choose depends on the usage of drone. This gimbal´s type stabilizes the camera across 2 axes, the pitch and the roll. Low weight and less power consumption, these are the main advantages of 2 axis gimbals. If you want to fly your drone in first-person-view (FPV), you should choose this type of gimbal. Your drone will be agiler and its flight time would be longer. To be honest, FPV enthusiasts like to fly without the use of gimbal, they are mounting the camera directly onto the frame. 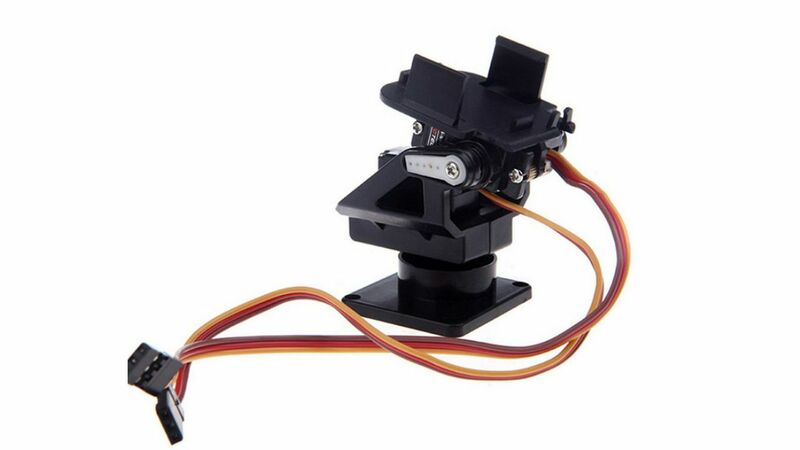 3 AXIS GIMBAL – This type is much heavier and more expensive. They also need more power due to having more motors. Overall, 3 axis gimbal provides better video stability than 2 axis model, because they stabilize your video on all 3 axis (yaw, pitch, and roll). 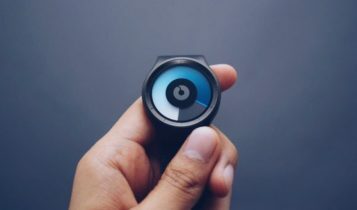 Although this type of drone camera gimbal is consuming more power, the extra motor can absorb any horizontal vibration, so you get more stable and clear video footage. If you plan to do good aerial photography, you will definitely want to go for a 3 axis gimbal. BRUSHLESS CAMERA GIMBAL – The video quality you get from brushless gimbals is better. You can´t deny it. The reaction is fast, the movement is smooth and without any noise. 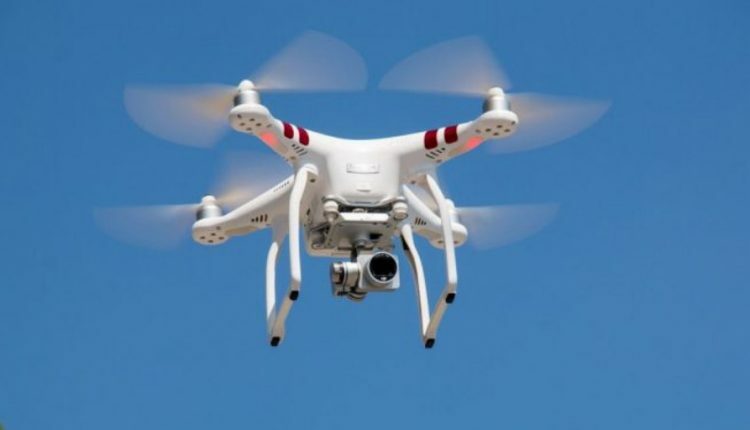 Great for aerial photography type of video, but they are also little more expensive, so be clear about the purpose of using your drone before you invest in this model. PICTURE QUALITY – Don’t look at the price, the most important factor you should consider while buying a drone gimbal is the picture quality. Therefore you are investing in this product. If you want the best videos without any noise or disturbances, it is mostly better to get 3 axis brushless gimbals that will hold the camera almost still. PHOTO OR VIDEO – What do you want to shoot? For standard aerial photos, you can save your money and buy a servo gimbal. It is light, consumes less power and of course, cheap. If you want to record high-quality videos, you have to invest in gimbals with great stabilization. In this case, 3 axis brushless gimbal is the best option for you. 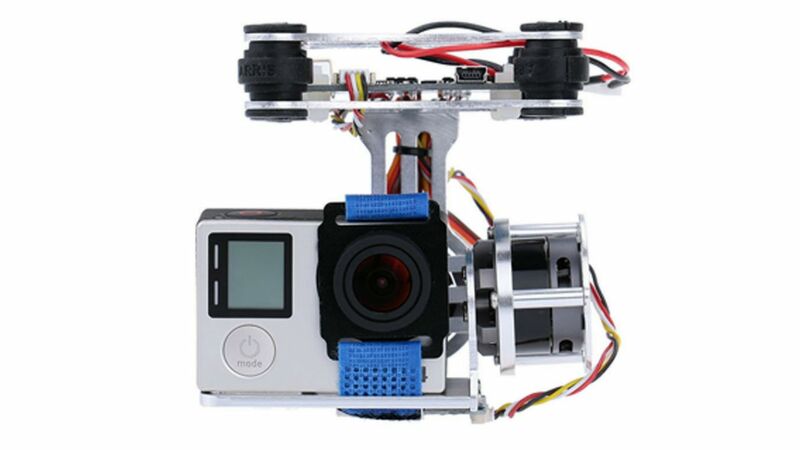 PRICE – As we mention above, servo gimbals are best for people on a tight budget. Ideal for first-person-view drone enthusiasts where the video quality isn’t so important. Do you want better quality? Pay more. That’s true, you need to spend more money on the brushless gimbal to get better aerial photos and videos. FLIGHT TIME – Can a gimbal affects the flight time of your drone? Of course, yes. Brushless and 3 axis gimbals tend to be heavier and consume more power, which leads to shorter drone´s time in the air. In short, for people who need to stay in the air for as long as possible, servo and 2 axis gimbals is an ideal choice. The truth is, you can save many years of practice by using a gimbal because it is very difficult to fly a drone and control the camera at the same time. Putting a gimbal on a drone isn´t as difficult as many think. Watch this informative video from Ready Set Drone channel. If you enjoyed this best drone gimbal review you’ll probably like our other gear lists as well. Here are some popular resources from the Nechstar. Clicking the device names, images or buttons will redirect you to the product listing on the appropriate Amazon.com (.co.uk, .de, etc. ), where you can find the updated prices, customer reviews, and more product details.